The voice assistant hardware market is exploding in popularity lately, with devices running software from Amazon, Google, and to a lesser extent, Apple. We can pretty much leave Cortana out of the conversation despite a very good hardware offering from Harman Kardon. As Apple's HomePod fails due to a still-disappointing Siri, Google and Amazon's offerings remain the cream of the crop. Which of those two you prefer is a matter of personal preference, although I prefer Alexa having tried both. Today, Alexa is getting a unique new feature that sets it apart from Google even more. Called "Alexa Skill Blueprints," you can easily create custom Skills without any programming experience. "Using Alexa Skill Blueprints is as easy as filling in the blanks. You can have fun customizing responses to questions like 'Alexa, what is the best city?' or 'Alexa, who has the best sense of humor?' You can also use Skill Blueprints to create an interactive adventure story with your child as the lead character, 'Alexa, start Anna's Story,' or create a skill to poke fun at Dad's corny one liners, 'Alexa, open Dad's Jokes.' The skills and responses you create with Alexa Skill Blueprints will be available instantly on the devices associated with your account," says Amazon. The company explains, "Using a set of easy-to-use templates anyone can create customized experiences for Alexa within minutes just by filling in the blanks. Whether it’s your own answer to the question 'Alexa, who is the best mom in the world?' 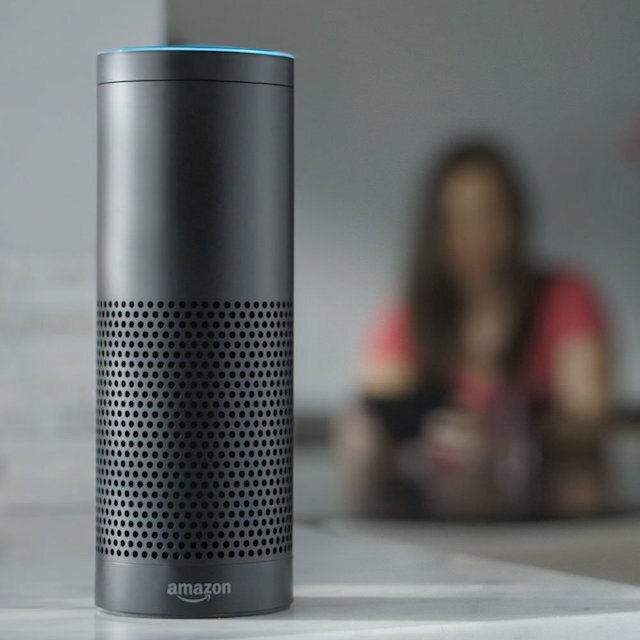 or a skill that offers helpful information for the babysitter, 'Alexa, open My Sitter,' Alexa Skill Blueprints allow you to build experiences into Alexa that are personalized to you and help make Alexa even more useful around your home. The skills you create are specially designed for you and your family, and will only appear on the devices registered to your Amazon account." Amazon shares some Alexa Skill Blueprint examples below. This new feature is incredibly cool, and I love the idea of it being used to bring families together. The best aspect, however, is that you don’t need any technical experience to set the custom skills up. That is important, because sometimes a neat feature like this becomes too difficult for the average person. Simplicity is key for a voice assistant's success. If you want to try Blueprints yourself, you can access the feature immediately here. You will be shocked at how easy it is to get going -- you can literally start customizing in minutes.